The Date head South to Brixton’s Plan B on Saturday May 16th. A venue change but ‘The Date’ philosophy is firmly intact, inviting legendary DJs to play to The Date’s discerning crowd on the highest quality sound systems. Another two room feast of real house and disco/edits, The Date invite three legends of the scene for their first Brixton party. 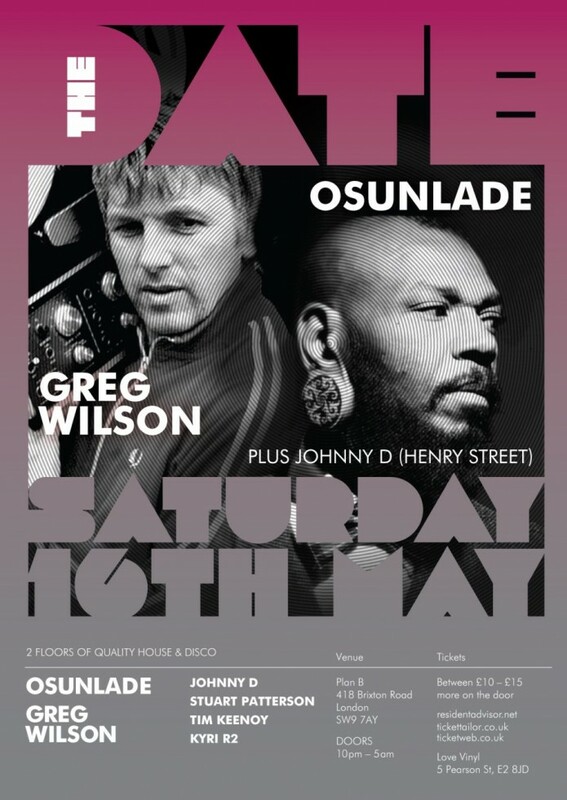 Osunlade makes his first Date appearance, the American producer, label owner and highly in demand dj. He has worked with luminaries like Roy Ayres, Patti Labelle and Salif Keita as a producer and his Yoruba label is one of the most highly regarded labels in the world but it is a world class dj that The Date welcomes him for the first time. Greg Wilson is a firm Date favourite and returns to bring his ever popular sets of edits, classics and forgotten gems re-invented for today’s dancefloor. A true originator it’s always a proper PARTY when Greg is at the controls. New York’s Johnny D has had a huge impact on house music’s history and progression as owner of the hugely influential Henry St label. The 20 years of Henry St compilation is released on BBE records in May and includes huge club hits including Kenny Dope’s ‘The Bomb’, Van Helden’s ‘Funk Phenomena’ plus tracks from Sneak, Louie Vega and Todd Terry. The Date can’t wait to invite such an important figure and also incredible dj to the party for the first time. Quality London support comes from guest Kyri, label owner of R2 who release Osunlade’s ‘Piscean Group’ album, also coming out in May. 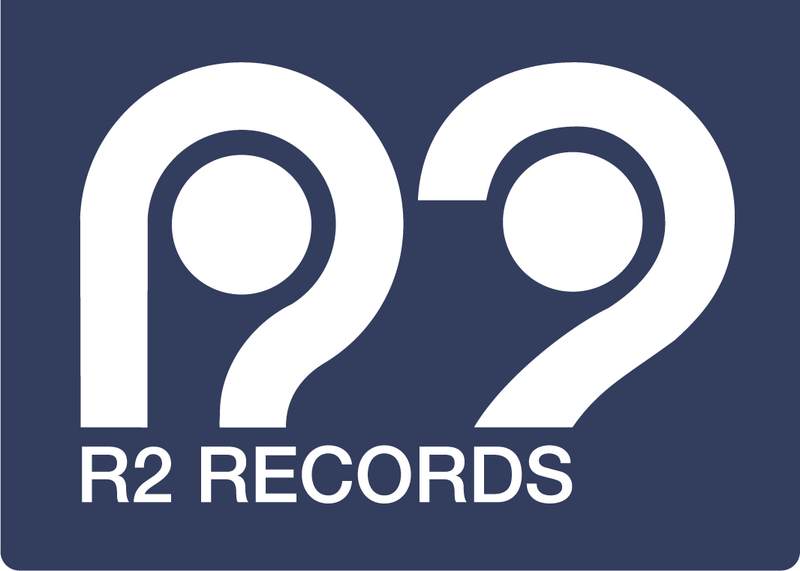 R2 has been one of London’s most consistent labels for many years releasing quality music from the likes of Floating Points, Karizma and of course Osunlade. As always ever reliable residents Stuart Patterson and Tim Keenoy are on hand bringing their vast musical and dj history to support the headliners and set the party off in fine style. Two rooms of music on top level sound systems with an unbeatable line-up for house and disco lovers. As with all Date parties advance invites are highly recommended as most sell out in advance. The Date at Plan B, 418 Brixton Rd, London, SW9 7AY. Tickets: FIRST 100 JUST £10 ! !